Welcome back to Scavenger Hunt Sunday. Last week, I mentioned that we were going to the zoo for Mother’s Day. We had a blast, and several of my photos were taken during our trip. We’ve also been busy enjoying the beautiful weather, although there were a few days that it was either too hot or too rainy. Anyways, if you didn’t participate this week in my scavenger hunt, but want to participate next week…next week’s list is brought to you by Fat Mum Slim. As I mentioned, we went to the zoo last Sunday. 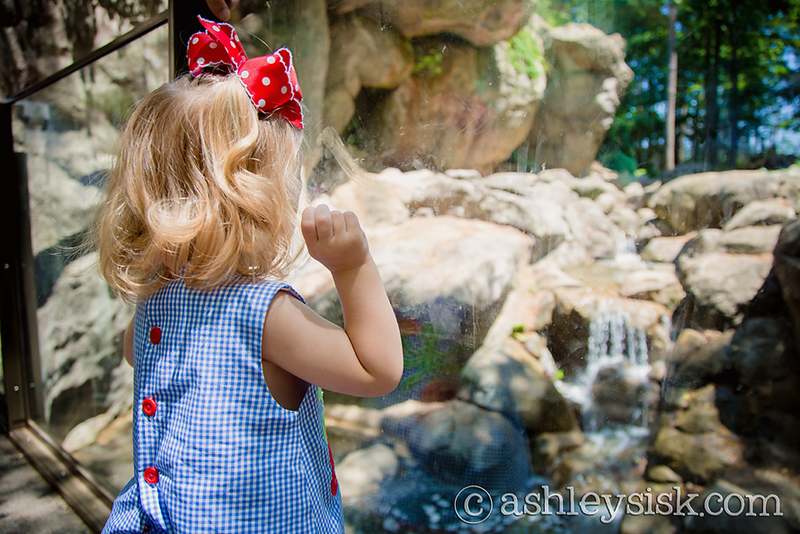 We didn’t see as many animals as we had hoped…which always seems to be my problem when I’ve gone to the zoo. 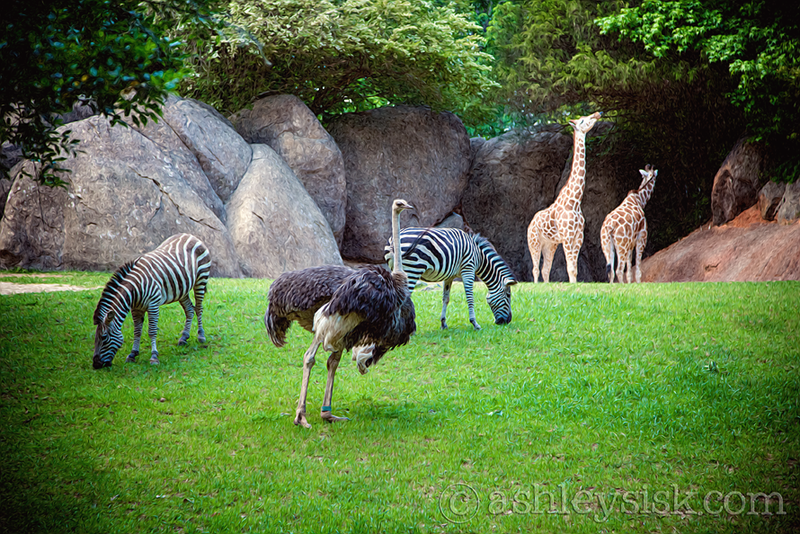 However, we did see ostrich, zebras and giraffes. They are friendly neighbors. 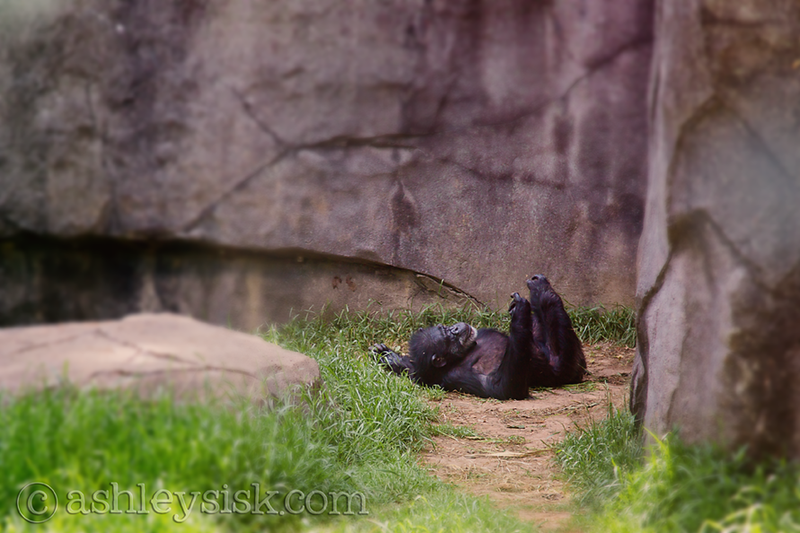 While at the zoo, we also saw chimpanzees. The dominant male in the group displayed (I think that’s what they called it), then found himself a nice shady spot to lay. It was pretty hot, so I don’t blame him. Here is Felicity trying to spot a bear. They weren’t there. Yesterday morning, we woke up at 6:15 am (not on purpose). Since Felicity and I were both awake, and my husband stayed up late…we decided to go out for an early morning photo shoot. The good news about 7:30 am sessions (we took our time to get ready and eat breakfast) is that the sun is still waking up and no one is out yet. After taking a few photos, I let Felicity play. 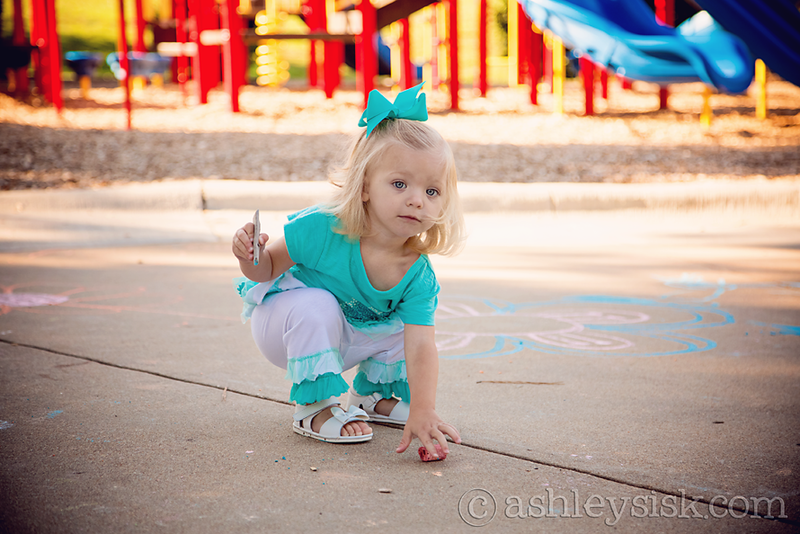 She found some sidewalk chalk. I think I took this shot last week sometime. 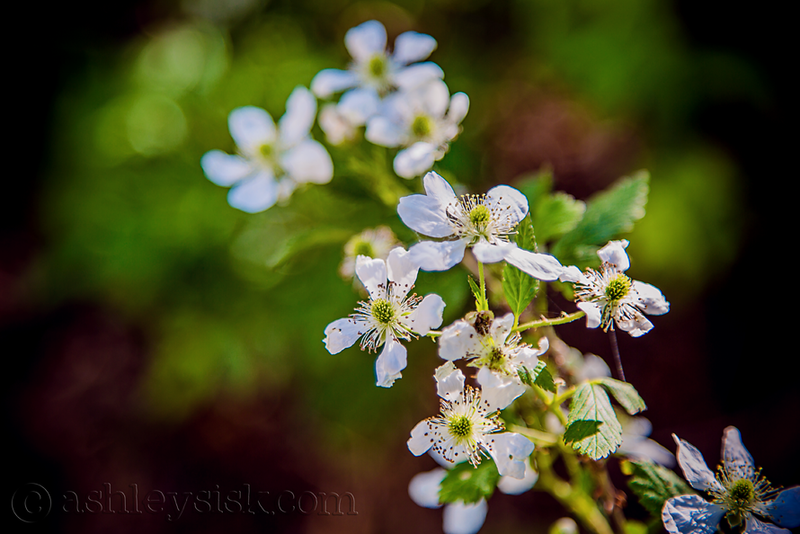 These are some of the wild flowers growing in our backyard.